Dogs have been used in law enforcement and military operations for centuries. For example, Romans utilized canines for security, during war, and for hunting. Today, canines are used in scouting, patrolling, carrying messages and sniffing out explosives and narcotics—they are indispensable aides to our law enforcement and military personnel. The K-9 unit community will find 2019 full of opportunities, from training efforts and conferences to changes in the perception of working canines. Here are some things to expect from working with K-9 units. The Transportation Security Administration (TSA) is retiring many of their pointy-eared dogs replacing them with floppy-eared assistants. This shift is based on research which indicated an increase in passenger acceptance of dogs that they do not perceive to be aggressive. “We find the passenger acceptance of floppy-eared dogs is just better. It presents just a little bit less of a concern.” TSA Administrator David Pekoske told the Washington Examiner during a recent tour at Washington Dulles International Airport. Extensive training and education will continue to be on the rise in 2019. Seminars, summits, online videos, and group field exercises are ensuring that K-9 unit trainers, handlers, department heads and officials are operating at their fullest potential. “Training is a constant, ongoing need for all K-9 teams. There have been Supreme Court cases where cases are upheld or fall based on training records. The importance of good training, good records cannot be understated.” Lt. Rachel David of the Dothan Police Department. With a following on Instagram of over 20,000, will be holding their 5th annual International Police K-9 Magazine Conference & Vendor Show in Las Vegas, NV next month. The conference will have 62 top vendors and will have up to 1,000 attendees from all over the world. This conference & vendor show is open to all K-9 trainers and handlers as well as law enforcement and military personnel. This event will be held at the Tuscany Suites & Casino from March 5-7, 2019. Read below for what attendees can expect while visiting the conference. At Vel Tye, we understand that canine officers are invaluable members of your department and need first-rate tactical gear. 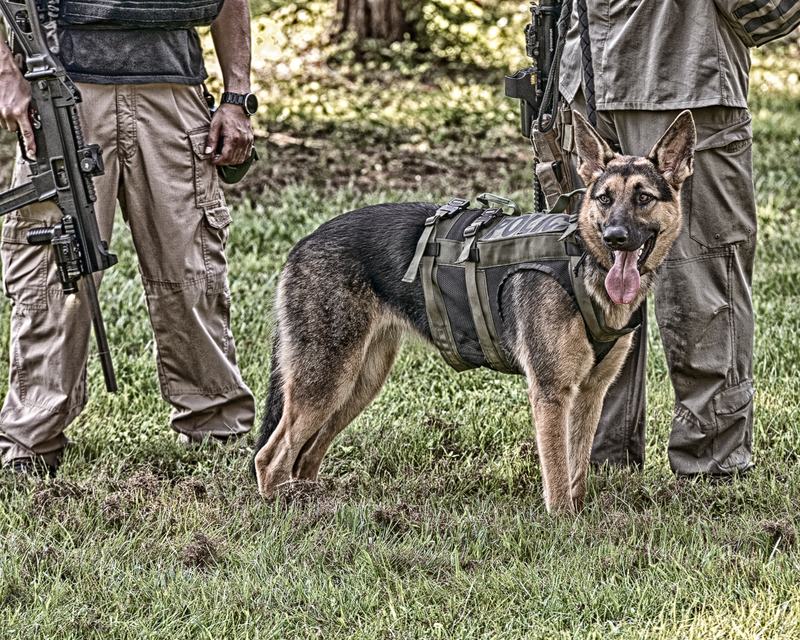 Our canine vests protect their stomach area from blades and shrapnel and provide superior protection and a comfortable fit, helping them to perform without obstructions. Each vest is customized to the measurements of your department dogs. Contact us today to learn more about equipping your K-9 unit.